Netflix's new series, Narcos, released on August 28th. has already been renewed for a second season, according to the Hollywood Reporter. Narcos is a period drama about the Medellin Cartel and Colombia’s cocaine kingpin, Pablo Escobar. The project was originally considered for a film, but it was quickly formatted as a television series to allow for more complex storytelling and character development. 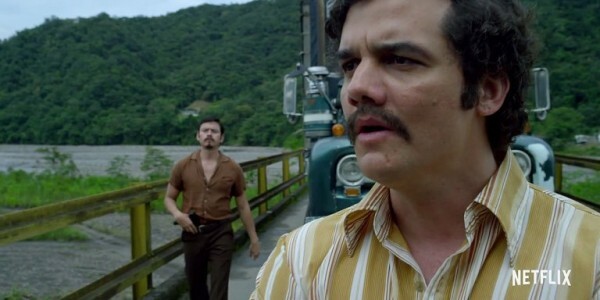 The series was created by Chris Brancato, Carlo Bernard and Doug Miro and features Brazilian actor Wagner Moura as Escobar. The show offers a variety of perspectives on the drug trade business during the 1980s. [caption id="attachment_74364" align="aligncenter" width="600"] Image Courtesy of Netflix[/caption] There are already a few changes being made for season two, including bringing on Adam Fierro, most known for his work on The Shield, who taking over as the showrunner and executive producer. The previous showrunner, Chris Brancato, who previously worked on Hannibal, will be moving on to work on ABC’s Of Kings and Prophets. Brancato will still be credited as co-creator of Narcos. The series has received many positive reviews and has helped add to the rise of popular scripted dramas coming from Netflix. Check out the 10 episode first season of Narcos on Netflix now.